The season came to an end over the weekend at Mercer in Macon and McEachern in Powder Springs as 28 teams battled it out to determine who was the best in their respective classes. 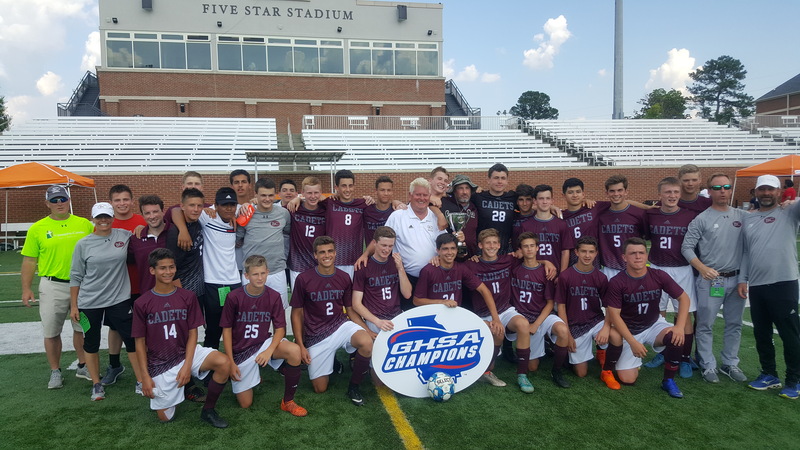 In the state’s highest classification, Lambert won its second state boys soccer title following a 3-2 victory over South Forsyth in the championship game. Chattahoochee defended its title in Class AAAAAA after defeating Cambridge 2-1 in extra time. The victory marked the third boys soccer title for Chattahoochee since the first in 2011. In Class AAAAA, Johnson-Gainesville defeated defending champion McIntosh to win its first-ever state boys soccer title. 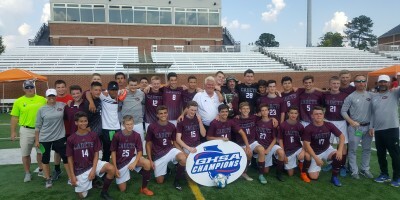 McIntosh won in 2017 and was going for its sixth boys soccer title. Northwest Whitfield won its first-ever state title with a 3-2 victory over Chestatee following two goals within the final 3:30 of regulation. Westminster asserted its dominance, defending its title with a 1-0 victory over Calhoun. The Wildcats have 13 boys soccer titles to their name and have won five of the last eight titles in Class AAA and Class AA. Benedictine won its second-ever state title after successfully defending its 2017 crown with a 7-0 thrashing of Putnam County in Macon. Benedictine’s Gavin Stewart had six of the Cadets’ seven goals in the victory. Paideia’s 2-0 victory over Atlanta International sealed the fourth state title in school history. Paideia has won four of the last six titles in Class A (2013-14, 2016, 2018).